Livin' Life With Style : Inspired by Callie's Shop + Giveaway! Did you or someone you know just have a baby? If so, check out Inspired By Callie's Shop on Etsy for some unique handmade finds! Inspired by Callie was created by a lady named Hilary. While she was anxiously waiting for her little girl to arrive, she kept busy by getting out her sewing machine (that she had never used before), and learned how to use it! She always loved receiving handmade baby gifts so she decided to create some unique things for herself. 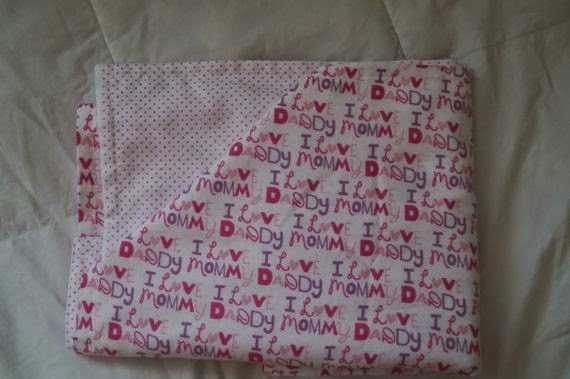 She started by making receiving blankets for herself and friends because she found homemade ones are much nicer and more personal than those you buy in a baby store. After encouragement from friends and family, she decided to invest in some quality, fun, cute fabric and supplies and open an Etsy shop which she named after her daughter called "Inspired by Callie"
Got a baby that is teething? These wooden teething rings have no harsh chemicals, finishes, paints, lacquers or stains. The ‘ears’ are made of cotton and terry cloth which can be easily removed for washing. 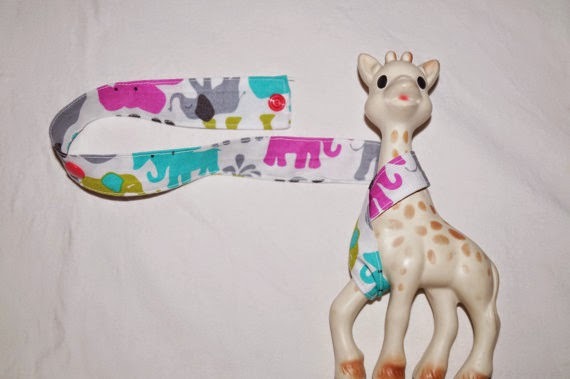 I hate when my baby's toys fall on the ground, so this toy leash is great for avoiding that. 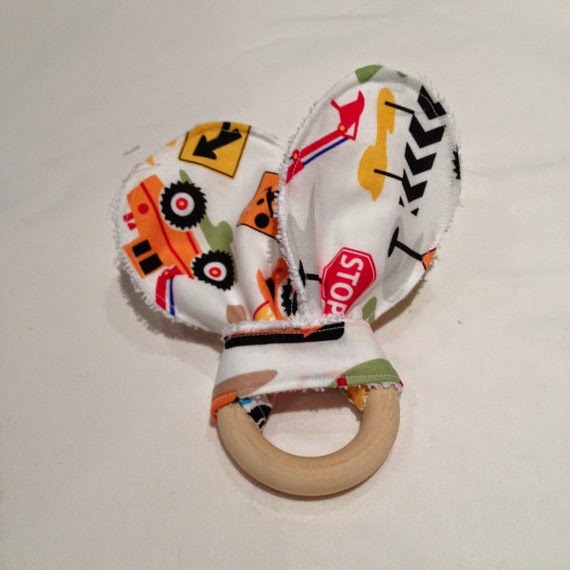 Attach one end to the toy and the other end to any car seat, high chair, stroller etc. How many pacifier's have you lost? I know, I have gone through a ton! 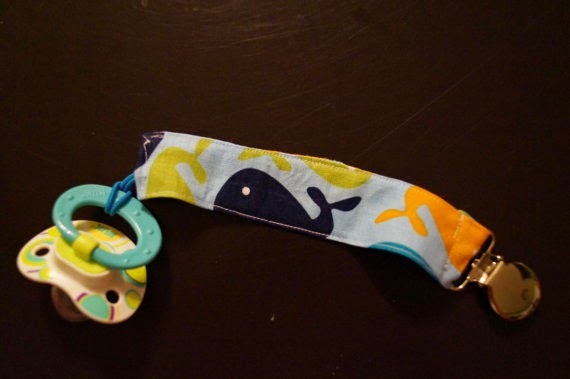 The metal clip attaches easily to clothes to prevent your baby spitting it out and having it fall on the ground. Plus, it will always be attached to their clothing so it will never get lost. Speaking about Winter. 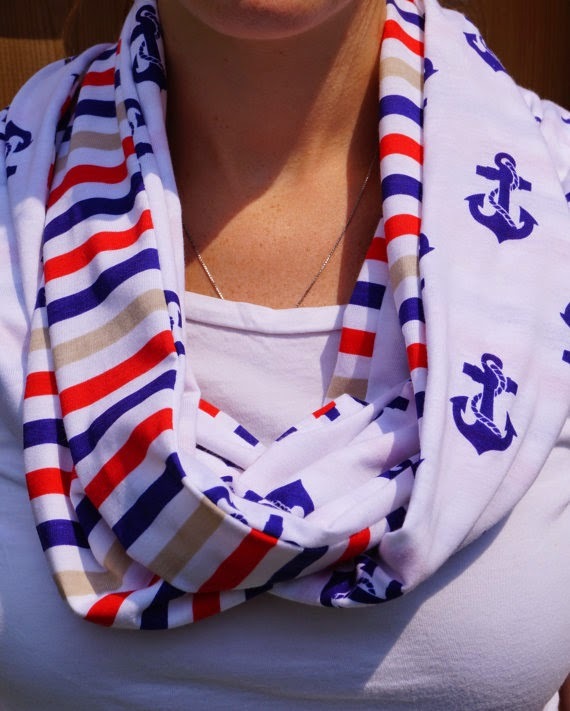 Check out the Infinity Scarfs! They are approximately 70'' long and perfect for fall and winter. All of these items come in different fabric designs. There is also an option to mulit buy to decrease the price or you can make a custom order by picking your own fabric! Giveaway closes on Monday, September 15, 2014 at 9pm EST. This giveaway is open to Canadian & US Residents. Winner will be selected via a random draw. Good Luck! !